Parakeets enjoy time out of their cages; canaries are happy to sing. Both canaries and parakeets are among the most popular pet birds in the United States, but for different reasons. As small birds, both make good pets for apartments and other small areas. Which makes the better pet is a personal decision, based on the type of pet you want. The types of cages needed for canaries and parakeets are similar. For one or two parakeets, the cage should be a minimum of 18 inches wide by 14 inches deep and 22 inches high, since they love to climb. For canaries, who are fliers rather than climbers, the cage should be at least 16 inches high and 30 inches wide. Add several short perches of varying widths and materials in addition to any provided with the cage. Add one toy for a canary and at least two for a parakeet. Avoid toys with mirrors, at least initially. Parakeets will interact with the bird in the mirror instead of you, while canaries sometimes are annoyed with the mirror and will peck at it. Both birds need separate dishes for water and food, and a dish on the cage floor for bathing. Add a cuttlebone and mineral block to both cages. Both canaries and parakeets eat seeds and pellets -- manufactured food that provides a more complete, healthful diet -- but need mixes specifically marketed for parakeets or canaries. Offer seeds one week and pellets the next so the birds learn to accept the pellets. Add fresh vegetables and fruit for both birds, cut into bite-sized pieces and placed in a separate dish. Larger pieces of dark, leafy greens such as lettuce, kale and spinach can be attached with a clip to the cage bars for the birds to chew on. Avoid avocado, the seeds and pits of all fruit, and plant leaves and stems as they can be toxic to birds. Try a variety of food and see what your bird prefers. If the bird eats a variety of veggies and fruit daily, pellets may not be necessary. Here's where major differences exist between canaries and parakeets. Male canaries are terrific songbirds, content to warble tunes and occasionally play with a toy in their cage. Their beautiful coloring makes them attractive pets. Parakeets require attention and interaction. They need at least an hour per day of supervised time outside their cages, playing with toys, perching on your finger or shoulder, or exploring. 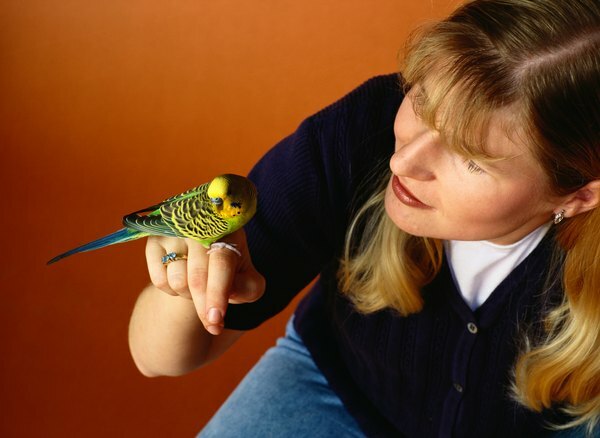 Parakeets form bonds with their owners and will cry out for them if they're left alone in the room or just need attention. With patience and time, some male parakeets will talk. 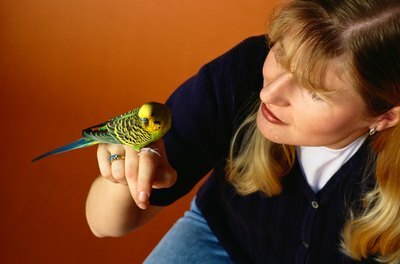 Canaries generally don't bond with their owners nor enjoy interacting with them, but have pleasant personalities. Parakeets are social birds that require interaction, either from their owners or another bird. If you don't have the time to spend with them, you'll need two parakeets so they can play together and form a bond. Canaries can be kept quite happily as single birds. Some say two canaries can become territorial, but many people keep two or more canaries in the same cage successfully. The key to keeping two or more birds in one cage is to buy them together, and choose birds that are sitting together non-aggressively. Parakeets can be particularly aggressive toward other birds, so don't plan to house parakeets and canaries in the same cage. Do Dogs Have Better Eyesight Than Birds?